Artemix has taken another product to the next level for parties and events! Toothpolish is a unique type of body art, that is a non toxic polish for the teeth, and comes in many different colors that are, metallic, glittery, and even some that can glow! 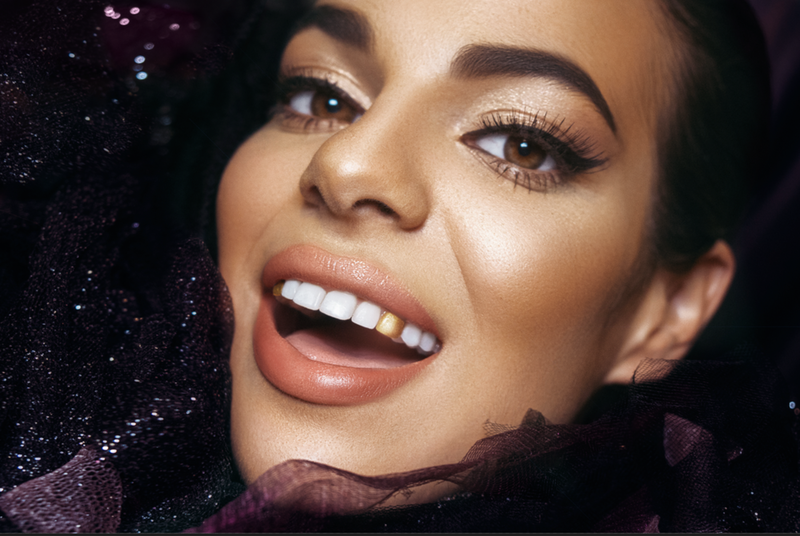 Frequently used in music videos, raves, festivals, and high fashion beauty, Artemix has transferred Toothpolish to the entertainment world for everyone to have at their event! It lasts up to 24 hours, and can be easily removed. Want to show it off longer? You can also choose to provide individual Toothpolish Favors for guests so they can wear it after the party too! Call 888.ARTEMIX and speak to an artist about booking Toothpolish Today!